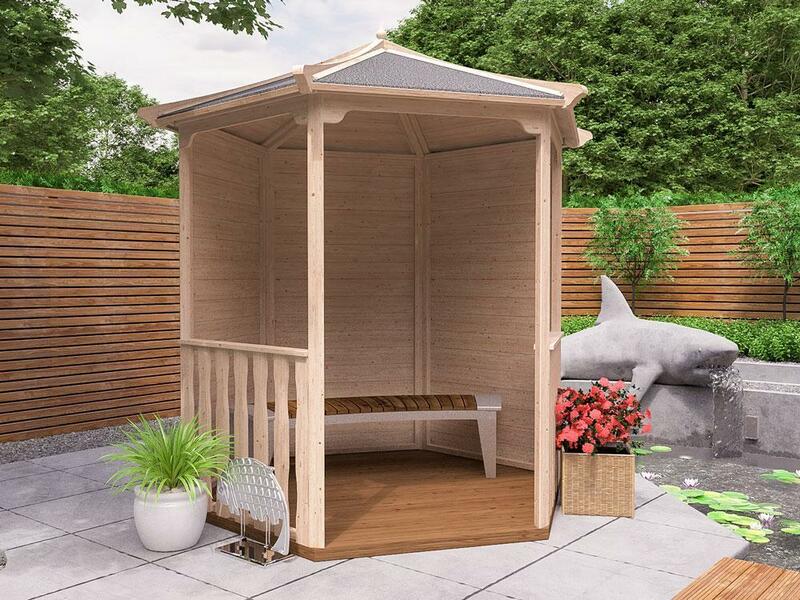 This beautifully crafted Wooden Gazebo will make the perfect addition to any garden. 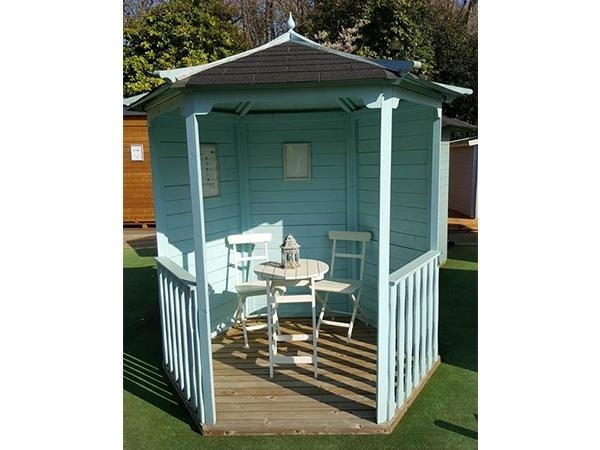 Make it your own by choosing a treatment colour to suit your garden. Invite your friends and family for a BBQ and impress them with your new addition as they sit cosily next to the enclosed back, sheltered from those typical British showers.